While I don’t really expect huge present anymore with my age of 31 years, as I am also happy about little things because I believe it comes always from the heart, I must mention that I got again way more than I expected. I mentioned that I don’t own a cigarette case and the husband of my mother did remember. It was his present to me and when I opened the case, I was surprised that it was already full with cigarettes and a 10 Euro note. You might think that it is macabre to gift something as a birthday present, that could kill you, but don’t worry, I am smoker anyway and I was very happy about the present. My mother did gift a 20 Euro note and a 30 Euro shopping gift card. That was wonderfully too. 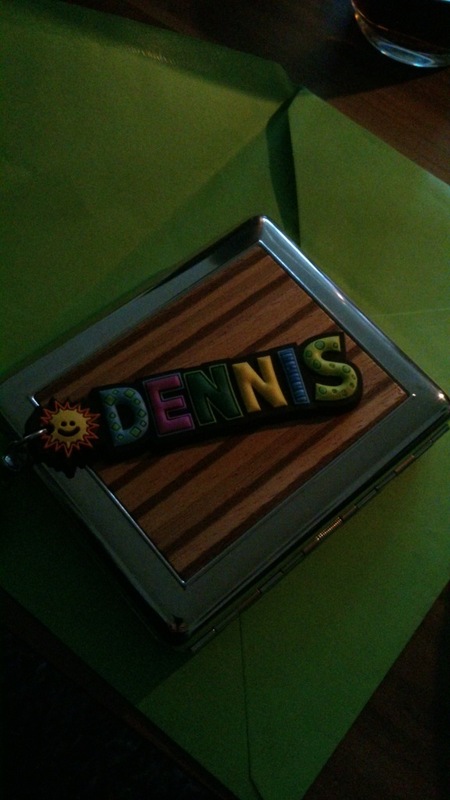 Grandma and grandpa came with a cool “Dennis” key tag, a pretty cool sweatshirt and additional 30 Euro. I said again that I did not expect so much. But I said thank you to everyone and that their presence alone made me already very happy. I love my family. I had a little bit trouble on the street last weekend. Someone did attack me but I was able to defend myself. I was able to handle the situation to my advantage. I hate to hurt someone but in this situation I had to do so and I am happy that I did so. It was self-protection. However after the action I did notice I need to visit the hospital anyway for some hours as it was hard to breath. In the hospital I got the diagnose “Rib contusion”. It´s not a big drama but hurts anyway with each breath. It will take 2 and maybe up to 6 Weeks until it will be better and without pain. So I was pretty happy that my mother did think about that on my birthday and that I just had to blow out one candle instead of many on my. Thirty-one wouldn´t be so easy in my Situation because breathe still hurts. But I really didn´t want to talk much about the weekend drama. 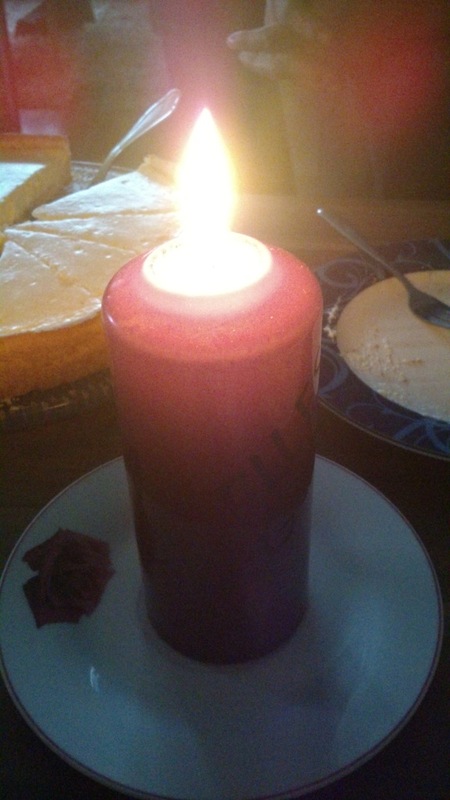 I rather wanted to write about the cool thursday together with my family on my birthday. We all talked so much together. I love those meetings with the family. We did end the day in the evening with a tasty warm meal called Jägerschnitzel (Escalope Chasseur) that the husband of my mother cooked. He is so great in cooking! It was so tasty. Billy… my Moms Dog again.. I am glad you liked it. The post is a bit old but I still write posts today 🙂 Greetings!